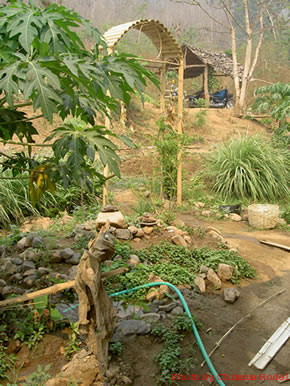 The Por Piang Permaculture Garden project is based on the combination of a Thai philosophy called “Por Piang”, meaning “sufficiency” and permaculture design. The project’s main objective is to provide a systematic approach to implement a self-supporting economy in the country. This requires proper use of technology, population control and natural ecosystem preservation. 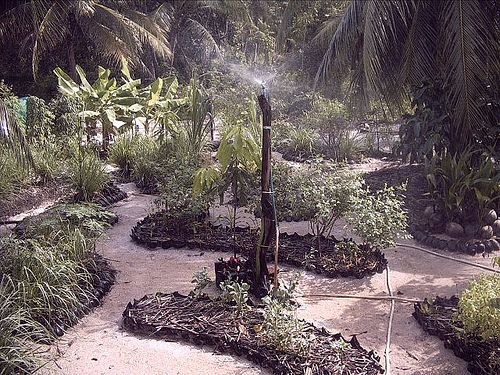 Permaculture is the main means to achieve these goals.